It’s that time of year again. We’ve survived Christmas and New Year and the next big feast is coming up. Lá Fhéile Pádraig or Saint Patrick's Day, a cultural celebration held on the 17th of March, the traditional death date of Saint Patrick (c. AD 385–461), the foremost patron saint of Ireland. As the 17th of March is a Sunday , we meet up early Saturday to celebrate. The 16th of March at 15:00 at Protected content . 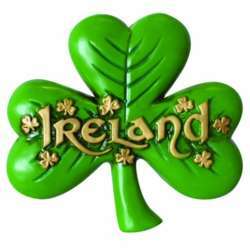 Yes, 15:00 sounds very early, but be aware that the Irish pub is very crowded around St. Patricks day and later in the afternoon/evening they will start to charge entrance fee. Wear green clothing or green accessories, as this is customary on St. Patrick's Day.